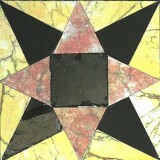 2000 year old marble floor tiles from the Holy Temple on Mount Moriah in Jerusalem brought to light. For the first time in history, actual decorative elements from the Holy Temple in Jerusalem have been brought to light! 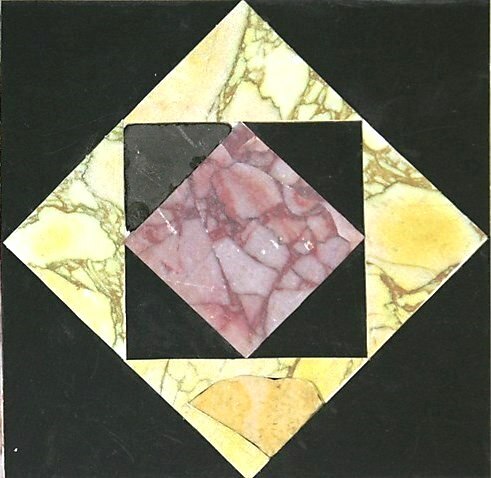 Exquisite marble floor tiles, made with meticulously cut stones of different colors – yellow, black, red, purple, white, and more have been recently recovered and pieced together, giving us insight into the great beauty of the Holy Temple of the Jews that stood on Mount Moriah and was destroyed by Titus the Roman in the year 70 AD. Archaeologists have so far been able to identify seven distinct floor tile patterns. 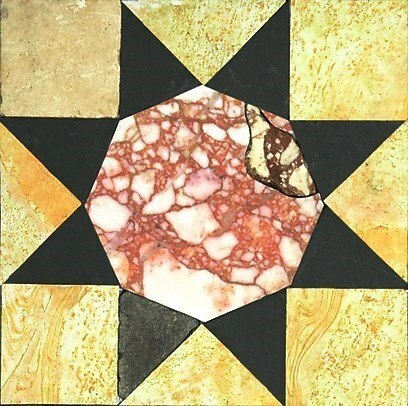 Hundreds of colorful marble floor tile pieces have been discovered in a major sifting project undertaken by Israel Antiquities authority after Moslem religious authorities on the Temple Mount (where the golden dome Mosque of Omar and El Aksa mosques are located) illegally removed rubble beneath Mount Moriah, without conducting a proper archaeological excavation. The floor tiles were probably part of the monumental subterranean passageway built by Herod the Great that led up to the Courtyard of the Gentiles on the Temple Mount, and was used by pilgrims – such as Jesus, Mary, & Joseph – when they came to Jerusalem for Passover. I invite you to join me here in Israel and experience a 3-D living color Bible- a blessing without measure! We’ll learn about the Holy Temple that stood on Mount Moriah, visit the Temple Mount excavations, and even help wash the archaeological remains in search of artifacts. This entry was posted in Jerusalem and tagged 2nd Temple, Herod, Holy Temple, Jerusalem, Jesus, Mount Moriah, Second Temple, Solomon's Temple, Temple Mount by zshavin. Bookmark the permalink.